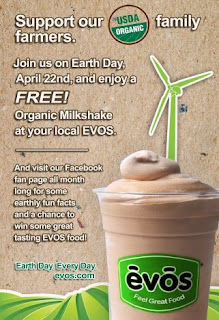 Get a free Organic Milkshake on Earth Day April 22nd, 2013 at your local Evos. Click the link below to got to their Facebook page. "Like" Evos to read the details of his free offer.